The Brisbane City Pops Orchestra is excited to return to present our first program for 2019 – On Broadway! With the help of our popular and renowned guest artists, Leslie Martin-Nightingale and Greg Moore, we will celebrate some of Broadway’s greatest shows, including Phantom of the Opera and West Side Story. Leslie will showcase her beautiful voice with ‘Summertime’ and Greg will melt your heart with ‘Can You Feel the Love Tonight’. Our conductor for this concert will be the incredibly talented Chen Yang, who will also delight you with his violin playing! You will be thoroughly entertained as the orchestra presents music from famous shows such as Les Miserables, Wizard of Oz, Guys and Dolls, Fiddler on the Roof and many more. Please join us as we take this journey On Broadway! Chen Yang was appointed concertmaster of the Queensland Theatre Orchestra (QTO) after graduating from the Queensland Conservatorium of Music with distinction in violin performance. He later joined the Queensland Symphony Orchestra (QSO) for many years. 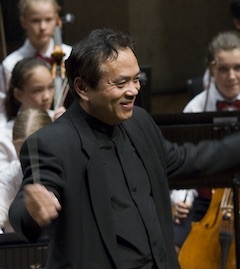 Chen is currently the leader and conductor of Corda Spiritus Orchestra of Brisbane and The Sinfonia of St Andrew’s Orchestra. He appears regularly as guest conductor for The Brisbane Philharmonic Orchestra in their annual Metro Concert Series. In 2014 he was invited to conduct The Northern Rivers Symphony Orchestra in a Gala Concert celebrating their 20thAnniversary. Chen has worked in music education for many years with his long association with the Queensland Youth Orchestra (QYO) leading their Junior String Ensemble (JSE) consisting of up to 70 talented young string players. At present he is also conductor and string teacher at St Hilda’s School, Southport. His other musical interests include playing baroque violin with The Badinerie Players of Brisbane. Leslie has been performing professionally for over 25 years, working with Opera Australia, Opera Queensland and internationally. Her enthusiasm for sharing her love of opera and the stage has also seen her perform for Corporate functions, Festivals, in parks, restaurants and local halls, in schools, with circus performers, and on the beach. A regular performer in Brisbane, Leslie looks forward to concerts with the Brisbane City Pops Orchestra, a relationship that has been built over many years. Concert highlights include: New Year’s Eve at QPAC with the Queensland Pops Orchestra; the Armidale Bach Festival; the Royal Australian Navy Band; and the Australian Army Band Brisbane. Audiences have enjoyed her performances at the Brisbane City Hall and Sydney Town Hall, where she sang solos plus duets with David Hobson. Leslie puts her vast performance experience and vocal expertise to use by sharing her knowledge with aspiring Brisbane singers of all levels, ages and styles. Through her business, Success on Stage, Leslie teaches how to sing as well as how to perform and, most importantly, provides real performance experience for her prodigies. 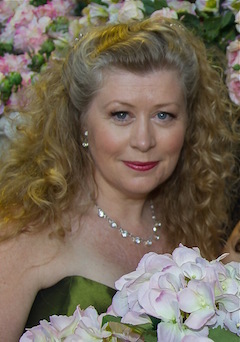 Leslie enhanced her real industry expertise with knowledge gained through vocal pedagogy studies at the Queensland Conservatorium and took an active interest in the Australian National Association of Teachers of Singing being both a director of the Board and the Vice President of the Queensland Chapter. Over the years, Leslie has assisted emerging performers launch their careers in the music industry locally, nationally and internationally. Her career advice has introduced young artists to Opera Queensland, with another currently performing professionally in Europe and in West End productions. Her knowledge of singing has been utilised by various Schools, Councils, Summer Schools and Eisteddfods through adjudicating, presenting workshops and masterclasses. As a creative director, Leslie has produced iconic opera events such as Opera on the Beach in Sydney, and opera concerts on Broadbeach and Kings Beach, Caloundra. For 4MBS Classic FM she has created and directed various shows for the Festival of Classics including Verdi’s Women, a comparison of the real women in Verdi’s life to his operatic heroines; and a cut down version of Puccini’s opera Tosca, which was performed at the Powerhouse Theatre. She can also be heard on 4MBS Classic FM on Thursday nights. Leslie regularly performs with Italian Tenor, Raffaele Pierno as Raffaele and The Nightingale. With their accompanist, Leanne Warne they have recorded an album of Italian songs and arias, Sogno d’Italia (Dream of Italy). Other recordings of Leslie include her solo CD, Treasures, showcasing music made famous by Gladys Moncrieff, June Bronhill, Jeanette MacDonald and Kathryn Grayson, Say Hello to the Opera for ABC Kids and Vavachi Classic Occasions’ recording Showstoppers. Leslie also appears on Opera Australia’s video-recordings of Patience and Die Fledermaus. Gregory is a graduate of the QLD Conservatorium of Music and as a Cross-over Pop Opera artist is in high demand for his performance style and versatility. 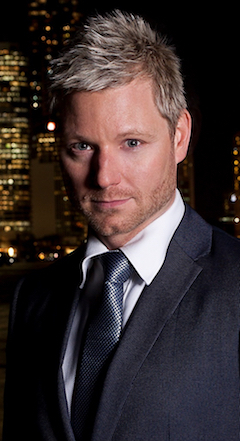 His performing credits include: an original member of The Ten Tenors, The Pirates of Penzance - Australian Tour for ESSGEE (Frederic Understudy, Ensemble) and Tenor Soloist in Andrew McKinnon’s World Touring International hit Scotland the Brave, with performances including the Sydney Opera House and the Lincoln Centre in New York City. He has performed The National Anthem in front of a World Wide Television audience at the Four Nations Rugby and State of Origin, sang The Prayer with Delta Goodrem at the opening of the Hyatt Gold Coast and is a regular guest with the Queensland Pops Orchestra. As an original member of the Pop Opera Trio ‘La Forza’, Greg has performed throughout Australia, New Zealand, The South Pacific & Asia on all leading Cruise Ships including featured acts on The Queen Mary 2 & Queen Victoria. As well as appearing as the Tenor Soloist for the ABC TV and DVD/CD release of the hit Show ‘Scotland the Brave’, Greg has recorded two solo studio albums: ‘I’ve Dreamed of You’ recorded with the QLD Pops Orchestra and The Christmas Gift, released in both Australia and New Zealand. His TV special An Intimate Evening with Gregory Moore & Friends is available as a LIVE DVD & CD and has been featured on the STUDIO Channel, FOXTEL.